Nestled in the heart of Carmel, CA, minutes from Pebble Beach and the stunning coastline of Central California lies Best Western Carmel's Town House Lodge. Our boutique hotel offers 28 contemporary rooms, two-room suites and family rooms all featuring warm coastal décor and furnishings with modern touches and a B&B charm that to make you feel right at home in Monterey Bay. Our lovely Carmel smoke-free accommodations feature LCD TVs wth High Definition cable, free Wi-Fi, desks, refrigerators and plush beds. Use the Wi-Fi to plot out which exciting California adventures you're going to tackle next or relax with your favorite shows after a day of sightseeing and wine tastings. Open the windows and feel the refreshing Carmel breeze from the nearby beaches as you get some shuteye. Your seaside getaway is calling. 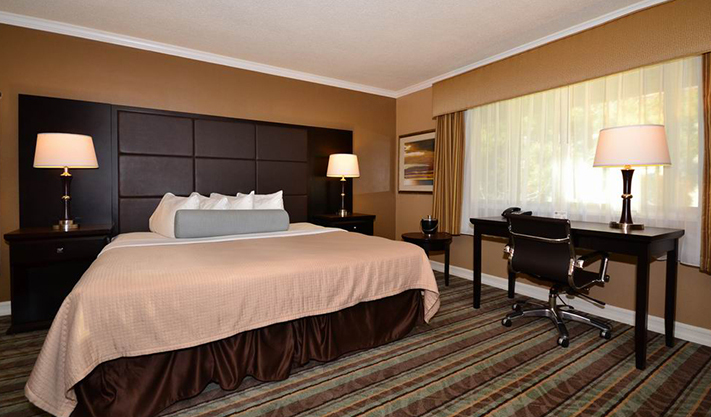 Sleep peacefully on the queen bed in this well-appointed guest room. Turn on the TV to sample premium channels or surf the web with complimentary Wi-Fi. Then tuck away your laptop in the secure safe before catching some ZZZs. 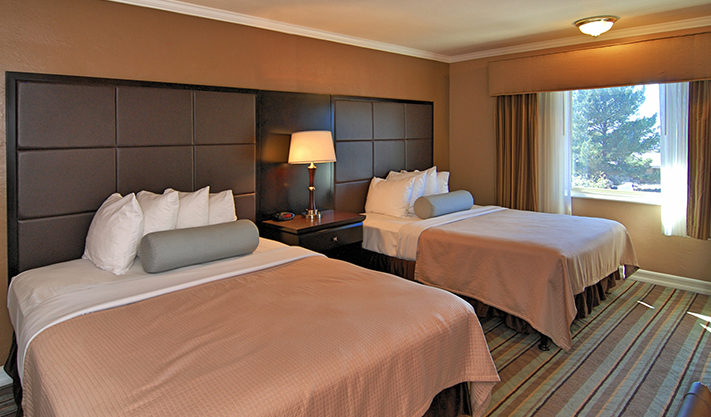 Enjoy all the splendid features of our rooms but with a bigger bed. 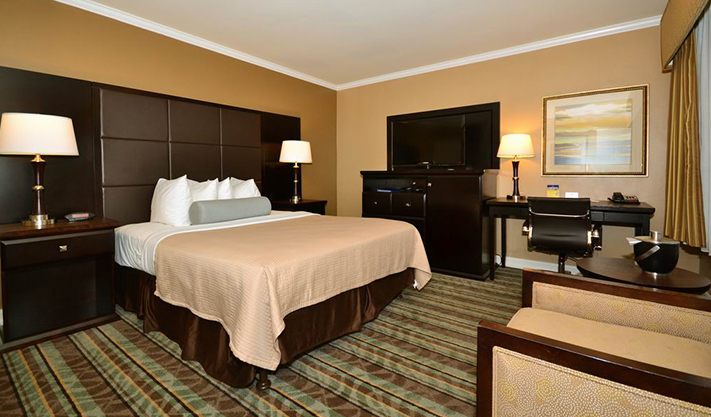 Stretch out and relax in the king bed and get comfortable with free Wi-Fi and 37" cable TV offering HBO, or find your productivity at your personal workspace. Enjoy fabulous comforts such as two queen beds, 37" TV with cable, complimentary Wi-Fi, a safe and refrigerator for snacks to take to the beach. 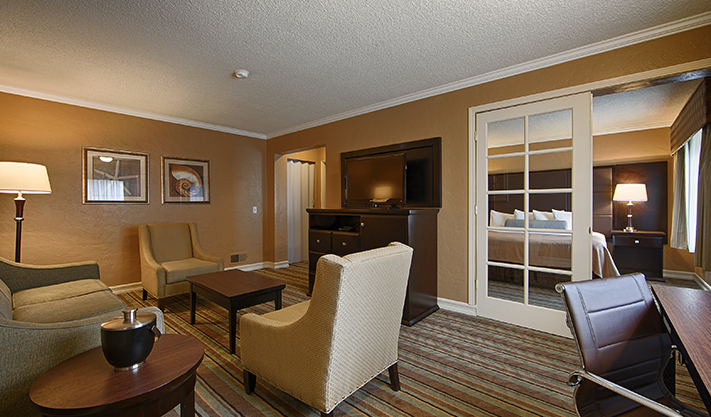 This spacious room is perfect for vacationing families or traveling groups. 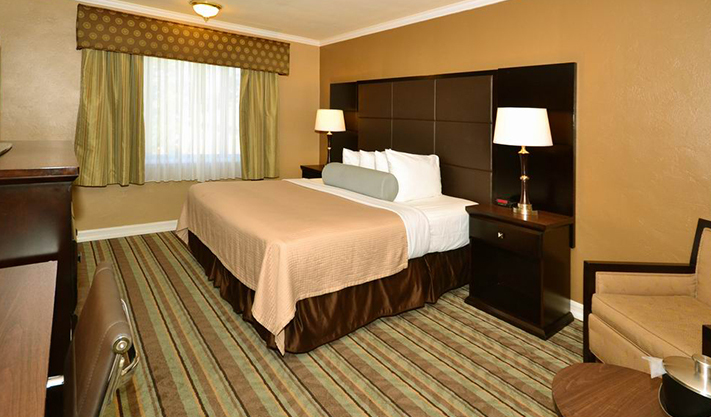 Stretch out in this spacious two-room suite with a separate king-size bedroom. This lovely suite has a sitting area with a sofa bed, 37" TV with premium channels, refrigerator and free Wi-Fi so you can stay connected. This two-bedroom suite is the ultimate retreat. Sprawl out in our master king bed with TV, beautifully furnished living room with flat-screen TV, and a second bedroom with two twin beds. Enjoy two bathrooms and beautiful views.